Save by combining your lodgings and flights. Expedia has plenty of amazing Wiedenbruegge vacation packages that'll simplify things and give you more cash to spend! By booking a package deal on Expedia, you can save up to C$590*. With more than 400 partner airlines and 321,000 properties to select from on our global database, you won't have any problems creating your ideal vacation. Almost all reservations can be cancelled with no hidden fees from us. It can be quite pleasant to just stroll around the streets in a new place, but sometimes it's a good idea to come up with a plan. Grab your schedule — we've got some cool ideas for your forthcoming Wiedenbruegge vacation. Escape into the wider Hannover area and get close to nature with some activities like snowboarding. Still have time on your hands? Once you've checked that off your list, create more glorious vacation memories by going skiing. 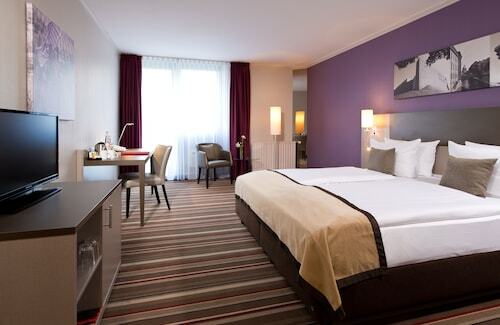 Seeking out luxury getaways and cheap vacations in Wiedenbruegge? Unfortunately, accommodations are in short supply. But, if you don't mind journeying slightly further out, you'll locate 2 properties nearby. At the Vier Linden (Niedernhagen 16) and the Parkhotel Bad Rehburg (Kreuzplatz 3), you'll get to enjoy a comfortable bed and a steaming hot shower — just what you'll need after a big day! Trying to find out how to make the trip from Hannover Airport (HAJ) to Wiedenbruegge? Once you have retrieved your bags from the carousel, you'll be around 19 miles (31 km) to the east of the neighborhood. Situated in Wiedenbruegge, this hotel is 2.7 mi (4.4 km) from Lake Steinhuder and within 6 mi (10 km) of Wilhelmstein and Dino Park Munchehagen. Rodenberg Town Hall and Landgrafen Spa are also within 12 mi (20 km). 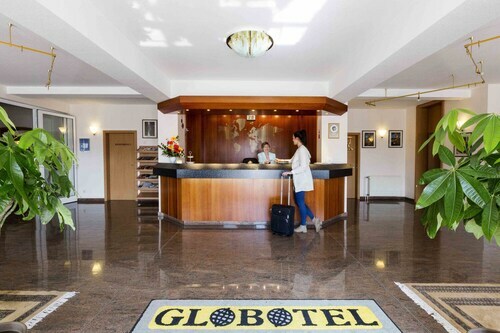 Located in Region Hannover District, this hotel is 2.9 mi (4.6 km) from Langenhagen City Shopping Centre and 3 mi (4.8 km) from Pferderennbahn Neue Bult. Langenhagen Hannover Airport S-Bahn is 11 minutes by foot. 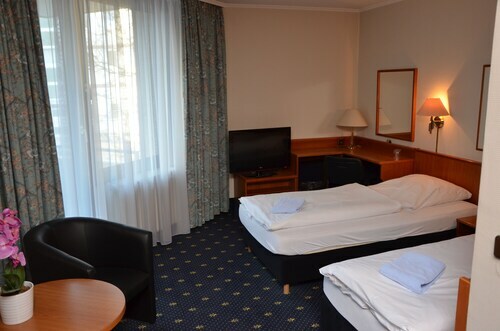 Located in Linden-Limmer, this hotel is 0.6 mi (0.9 km) from Theater am Kuchengarten and within 3 mi (5 km) of HDI Arena and Maschsee. Sea Life Hannover is 2 mi (3.2 km) away. Koenigsworther Platz U-Bahn is 24 minutes by foot and Waterloo U-Bahn is 25 minutes. 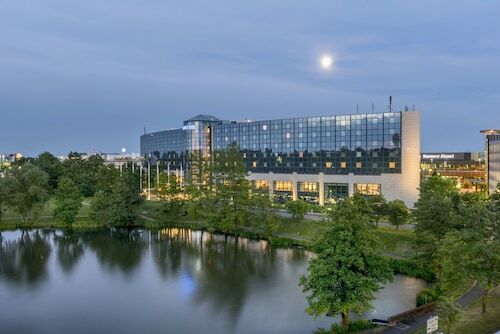 Located in Region Hannover District, this hotel is within 3 mi (5 km) of Langenhagen City Shopping Centre, Pferderennbahn Neue Bult, and Brinker Park. Hannover Zoo and Hannover Congress Centrum are also within 9 mi (15 km). Langenhagen Hannover Airport S-Bahn is 12 minutes by foot. Situated in Bad Nenndorf, this spa hotel is within a 10-minute walk of Landgrafen Spa, Kurpark, and Saint Gotthard Church. Heimatmuseum Rodenberg and Rodenberg Town Hall are also within 3 mi (5 km). Bad Nenndorf S-Bahn is 9 minutes by foot. Located in Region Hannover District, this hotel is within 9 mi (15 km) of Lake Steinhuder, Wilhelmstein, and Saint Gotthard Church. Kurpark and Landgrafen Spa are also within 9 mi (15 km). Wunstorf Station is 9 minutes by foot. 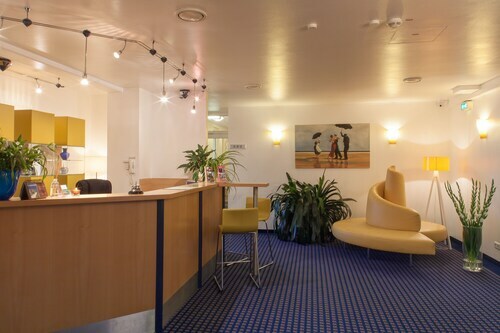 Located in Herrenhausen, this hotel is within a 15-minute walk of Herrenhausen Gardens and Sea Life Hannover. Great Garden and Berggarten are also within 1 mi (2 km). Hannover Leinhausen S-Bahn is 8 minutes by foot. Located in Berenbostel, this hotel is 3 mi (4.8 km) from Stoeckener Markt and within 6 mi (10 km) of Sea Life Hannover and Wat Dhammavihara. Great Garden and Herrenhausen Gardens are also within 6 mi (10 km). Thu., 3 Oct. - Tue., 3 Dec.
Fri., 17 May - Mon., 10 Jun.